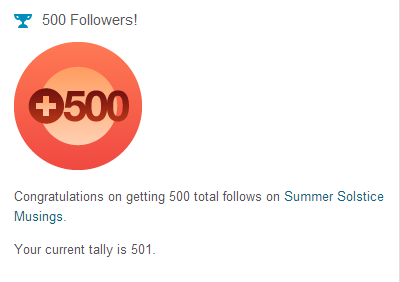 I can’t believe my little blog has 500 followers. It all started [I don’t even remember when] because I needed to get stuff out of my head cause I was feeling overwhelmed. It was write or implode so I wrote. At that time, I wasn’t even that comfortable with my English and I said so in my bio. The thought of other people willing to read my babbling and silly stories never crossed my mind. But I did stumble upon a wonderful community that is so supportive sometimes it makes me want to cry. Naturally I did the only possible thing. I ran to COLOURlovers to see if I could find something appropriate for the post. What do you know? 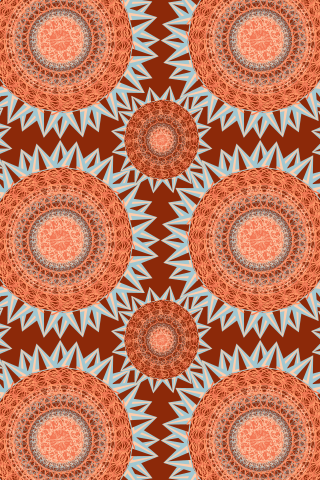 I found a pattern template called 500 today. How cool is that? It’s always nice to get to read your writing! Congrats… That is a really huge achievement! Your writing is THAT good! I mean, it’s good enough that 500,000 should be reading. You make me laugh, cry, think, and love. I’m maybe not one in a million, but I’m one in five hundred, and I’ll take it! You ARE one in a million to me!